You’ve probably heard the word; we will soon be putting on the biggest Gaelscoil fundraiser yet... Cow Pat Bingo! Yes, that’s right cows are involved, so read on to get the “dirt” on this “Cowabunga” event! The event will be held the afternoon of Sunday 29, May at the Kinsale Rugby club. Currently, there is a committee of parents working hard to get the nuts and bolts of this event in place. But we need your help to make this day a success and to raise a lot of “MOOOLA” for the school. 0k, I promise no more cow expressions! What: BBQ, local musical talent, food vendors, Irish dancing, face painting, bouncy castles, carnival games, Daddy tug-o-war, raffles, and of course Cow Pat Bingo. 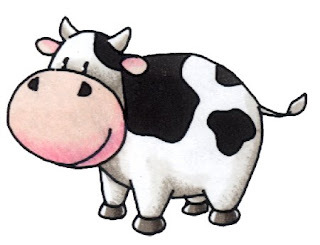 Why: To raise “Mooola” for Gaelscoil and to bring the school community together in a fun/social atmosphere. Cow Pat Bingo is where an area is marked off in a field and divided up into a grid system. Each of these squares are sold off as tickets (please sell as many as possible). Then on the 29th May a number of cows are released into the field and the cows make their droppings. The square where the cow drops is the winning square and you can win excellent prizes detailed on the tickets. We need your help and we can‘t do it without you. Each child is expected to sell 6 books of tickets with a maximum of 10 books per family. But you are encouraged to sell as many as possible and there is a prize for the class that sells the most tickets. All tickets must be returned by 6th May 2011. Any unsold tickets must be returned. The Cow Pat Bingo Event is booked for May 29th 2011 (2-5pm). This event was run last year and was a very successful and rewarding event for the Gaelscoil. The Gaelscoil will be selling tickets in SuperValu on 5th, 6th May from 9.30am-8pm. This worked very well last year so please sign up!! A thuismitheoirí, Beidh laethanta saoire na Cásca ann i gcóir coicís ag tosnú ar an Aoine seo an 15ú Aibreáin. Mar is gnáth ag deireadh téarma, beidh leathlá ann agus beidh na páistí ag dul abhaile ar a 12.00 a chlog. Iarraim oraibh gan cur isteach ar muintir na háite agus sibh ag pairceáil. Deineadh gearán oifigiúl faoi agus ní theastaíonn uainn cur isteach orthu a thuilleadh. Beidh cead ag na páistí 2 rud mhilis a thabhairt leo ar scoil arís do cóisir beag ranga agus bréagán oiriúnach. Ní ghá dos na páistí aon breagán a thabhairt isteach agus níl an scoil freagrach as aon damáiste a bhféadfadh tarlú mar sin ná seol aon ceann ró-mhaith isteach. Beidh cead ag na páistí éadaí dearga a caitheamh ar an Aoine má thogann siad €2 isteach. Táimíd ag tiomsú airgid do aonad CF i CUH an t-am seo agus déanfaimíd síntiús do pháistí Chernobyl as chomh maith. Tá sé deacair “Níl suim” a rá le roinnt carthanachtaí is léir. Ag anbpoinnte seo ba mhaith liom mo fhíor-bhuíochas a ghabháil libh go léir a d’fhreastal ar socrad m’athair agus a sheol cártaí, bláthanna srl. Is mór dom bhur gcomhbhróin. Go raibh maith agaibh. Dear parents, We will have a fortnight’s Easter holidays on this Friday, 15th April. As is usual at the end of term, there will be a half day and the children will be going home at 12 o’clock. I ask you not to upset the local people when you are parking. There was an official complaint made about it and we don’t want to upset them any more. The children will be allowed to bring 2 extra sweet things with them to school again for a small class party and a suitable toy. The children do not need to bring in a toy, they may do so if they wish but the school isn’t responsible for the damage that could happen so don’t send anything too good in. The children will have permission to wear red clothes on Friday if they bring in €2. We are raising money for the Cystic Fibrosis unit in CUH this time and we will combine it with monies being raised for the children from Chernobyl coming to Kinsale. It is clearly hard to say “No” to some of these causes! At this point I would like to express my sincere gratitude to you who attended my father’s funeral and for sending cards, flowers etc. I deeply appreciate your kind gestures. Thank you. An Tarna Aonach na Leabhair! / The Second Book Fair! Mar a dúirt mé libh níos luaithe sa bhliain tá dhá aonach na leabhair le bheith againn i mbliana chun seans a thabhairt do chomhlacht beag nua, Scholarbug, chomh maith. Déanfaimid cinneadh faoin gcomhlacht is fearr le úsáid don bhliain seo chugainn tar éis seo.Tá leabhair don dara Aonach na leabhair tagtha anois. Tá fáilte romhaibh teacht chun breathnú orthu amárach chun féachaint an bhfuil aon rud uaibh agus ansin teacht chun iad a cheannach ar an Déardaoin ón 08:30 – 10:30 agus ón 11 go dtí 12.30. Beidh Hilda ann chun cabhrú agus glacadh le airgead. Beidh sibh ábalta na leabhair a fháil ar an Déardaoin má tá go leoir cóipeanna ann, muna bhfuil cuirfidh Hilda ordú isteach. Beidh na leabhair á bhailiú ar an Aoine, mar sin níl ach seans amháin chun iad a cheannach – ar an Déardaoin. Tá súil agam go mbainfidh sibh taitneamh agus tairbhe as na leabhair! As I already mentioned earlier in the year we are having two book fairs to give a chance to a small new company, Scholarbug. We will make a decision on which is the best company for next year after this. The books for the second book fair are here now. You are welcome to come and view them tomorrow to see if there is anything you want and then to come and buy them on Thursday from 08.30 – 10.30 and from 11 to 12.30. Hilda will be there to help and to take money. You will be able to get the books on Thursday if there are enough copies there, if there aren’t Hilda will order more. The books are being collected again on Friday so we only have one chance to buy them – on Thursday. Parenting course: This will be held in the school on Thursdays from 7-9pm on the following dates - 14th April and 05th, 12th, 19th, 26th May. The cost is €30. Please contact Martina Collins to confirm your place. This course will now commence on April 14th rather than April 7th so as not to clash with the Table Quiz. Will those of you signed up for the course please confirm your place with Martina Collins. The Table Quiz booked for Actons Hotel on April 7th is at 8pm and not 6.30pm as previously stated. This later time is chosen to give parents the best chance of attending.